Last Saturday, April 23rd, was sunny and warm, and it was a great day to raise money for our troops and veterans! 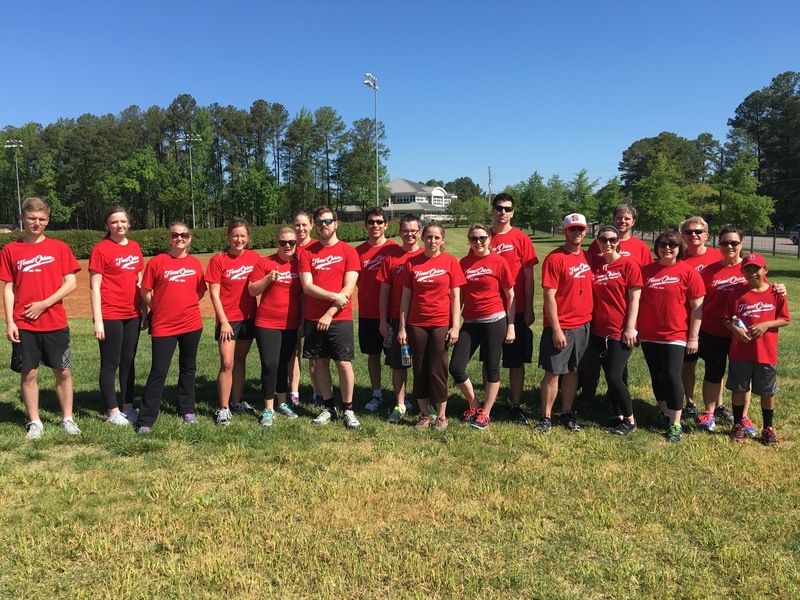 That morning, employees of the Raleigh Orion office participated in a 5K race that was hosted by Serving Our Soldiers. The proceeds from the 5K went to purchasing and shipping care packages to three adopted platoons deployed in Afghanistan. They also went into a fund for a scholarship started this year that will provide financial assistance to a veteran who wishes to go back to school. Founded by two teenagers, Serving Our Soldiers (SOS) is a non-profit organization dedicated to increasing support for our troops and veterans. Its founders, Caroline and Clare, started the organization because they felt that Americans, particularly teenagers and young adults, don’t provide enough support for servicemen and women. SOS has held other fundraisers and events as well, such as thank-you card drives. For more information about SOS, visit its website or Facebook page. The race was held at Ravenscroft School in northern Raleigh, NC and was open to all ages. The 5K was held on the school’s wooded cross-country course, and included string and tire obstacle sections. 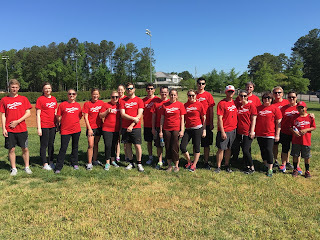 Volunteers from the ROTC program of nearby North Carolina State University were stationed throughout the course to guide participants along the correct path. Orion thanks SOS and the volunteers from Ravenscoft School and NC State’s ROTC for making this a fun and rewarding event!